It doesn't speak to you or give live traffic updates, but the Plus Fours Routefinder is the world's first satellite navigation - invented in the 1920s. 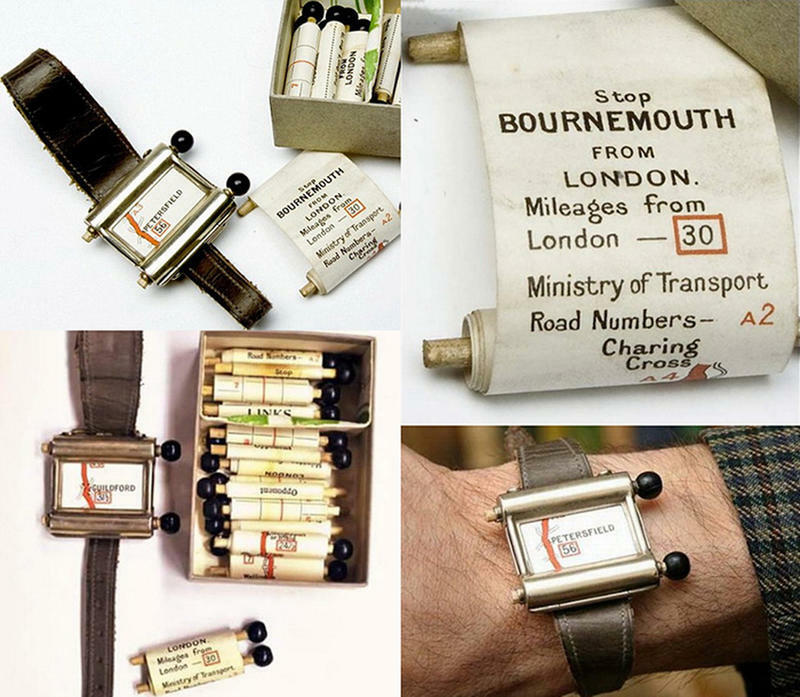 It was designed to be worn on the wrist - relying on good old-fashioned paper maps wound around wooden rollers, which the driver turned en route. The tiny scrolls also showed the mileage and gave a "stop" instruction at the journey's end. The device was intended to allow drivers to navigate around the UK, but with so few cars on the roads it never really took off. Now consigned to the scrap heap of history, the Routefinder is one of many gadgets patented by inventors who were hoping to strike it rich with their bizarre contraptions. It's part of a collection of weird and wonderful inventions, all conceived between 1851 and 1951, which have gone on display at the British Library in London. Other gadgets include a clockwork burglar alarm, a candle "blower-outer", a mechanical page turner and a skirt lifter - tongs that fitted to women's waistbands to lift their skirts clear of puddles.